Azerbaijan is expected to produce economic growth of 1.5 percent in 2015 thanks to revenues from the oil and gas sector accumulated in previous years, the European Bank for Reconstruction and Development (EBRD) said on Tuesday. Hit by the fall in global oil prices, the rouble’s drop against the dollar in neighbouring Russia and the separatist war in east Ukraine, the South Caucasus country devalued the manat currency by 33.5 percent against the dollar, and by 30 percent against the euro last month. The EBRD acknowledges that declining oil prices and other factors have a negative impact on the oil-rich country’s economy. 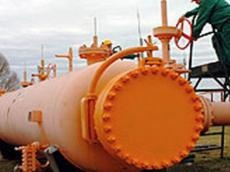 The Southern Gas Corridor, net energy export route from the Caspian region, has gained more credibility after hot discussions at the Baku meeting of its Advisory Council, where it was named as a sole new gas supply source to Europe. Azerbaijan has emerged as a geopolitical player and an insurer of European energy security without any rival as was declared “to be and will be one of the main objectives in the years ahead”. The US and Azerbaijan work in such traditional areas as security, economy and energy, the US Assistant Secretary of State for European and Eurasian Affairs Victoria Nuland said. She made the remarks Feb. 17 at a press conference in Baku. Baku can become a regional center for innovation, including in the field of comprehensive Internet, said Jonathan Sparrow, Cisco vice president for Russia and CIS. 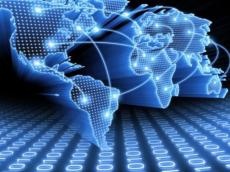 The American company Cisco is currently working with the Azerbaijan’s network of centers for simplified access to public services ASAN Xidmet. The company also supports a project of First European Games to be held in Baku this year. 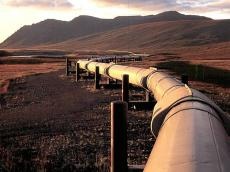 The Southern Gas Corridor is the only project which guarantees major gas supplies from new source, TASS reported citing European Commission Vice-President for Energy Union Maroš Shefchovich. “This is the largest project with the estimated cost of implementation at 45 billion euros,” Shefchovich said. He also added that the conflict in South-East of Ukraine pushed the EU member countries to accelerate the diversification of energy supply source, and the process of the European Energy Union creation. The Southern Gas Corridor project in the core of the strategic energy partnership with Azerbaijan and EU’s commitment to the project realization are the main topics of the Baku meeting of the Southern Gas Corridor partners. Baku hosts the first meeting of the Advisory Council of the Southern Gas Corridor with participation of representatives of all transit countries of the gas supply project. This is a project that can encourage greater economic cooperation, improve energy security and create over 30,000 jobs in all countries along the Corridor, said Maros Sefcovic ahead of the meeting. A new industrial park will be created in Mingachevir city of Azerbaijan. “Last year the implementation of infrastructure projects, including the improvement of roads and transport infrastructure, energy, gas and water supply infrastructures in the regions was continued. During a year, 960 kilometres of roads of state and local purpose, 30 new bridges and passages were constructed and reconstructed. Construction and reconstruction of village roads with a total length of 1,300 kilometres, joining 597 residential points where 960,000 people live, was also continued,” the minister added. Baku is not afraid of lowering oil prices, the government assured the Azerbaijani nation amid concerns over decline in crude oil price in the global market, now hovering around $50 a barrel. The government of the energy-rich Azerbaijan has long been speaking about the risk of the energy depending economy. It has been searching for alternatives to petrodollars received from the oil and gas export since long time ago. 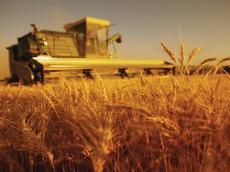 President Ilham Aliyev has signed a decree declaring 2015 as the Year of Agriculture in the country. Azerbaijan’s Agriculture Ministry, together with the Cabinet of Ministers, was instructed to prepare an action plan and submit it to the president. The agricultural sector is important not only for increasing Azerbaijan’s export potential, but also for restoring and protecting the country’s food security. Protecting the quality and price of food stuff produced in Azerbaijan and producing them in accordance with quality standards are among the main priorities of the country’s food security plan.